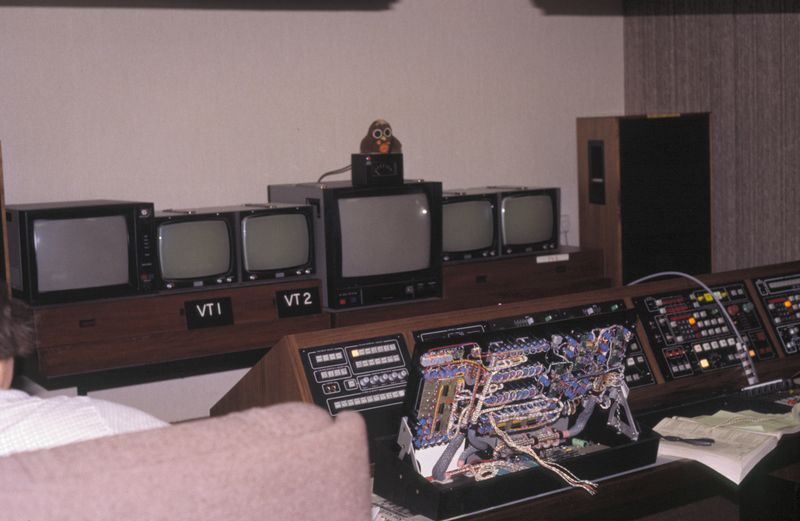 This photo is dates from March 1985, and shows installation or maintenance of one of Pebble Mill’s VT Suites. 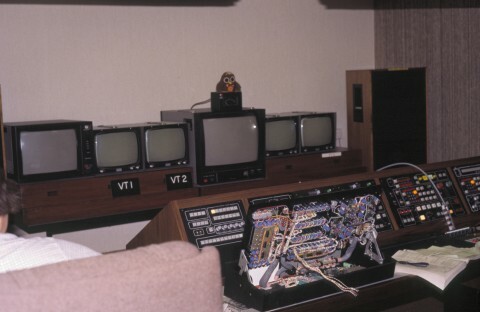 The owl on the monitor in the back of shot was wired so that his eyes lit up! The owl was bought for me by a retiring PA called Hermione and her replacement (all I can remember name wise) because they thought it looked like me! One eye was later changed to green to indicate eight field lockup (don’t ask). I still have it.